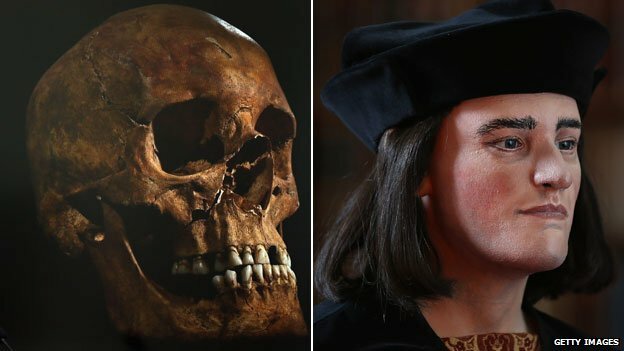 King Richard III's hearse has begun its journey through Leicestershire ahead of his reburial. 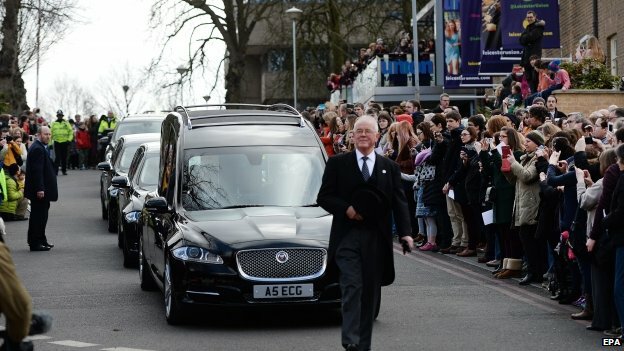 The cortege departed the University of Leicester after a short ceremony. 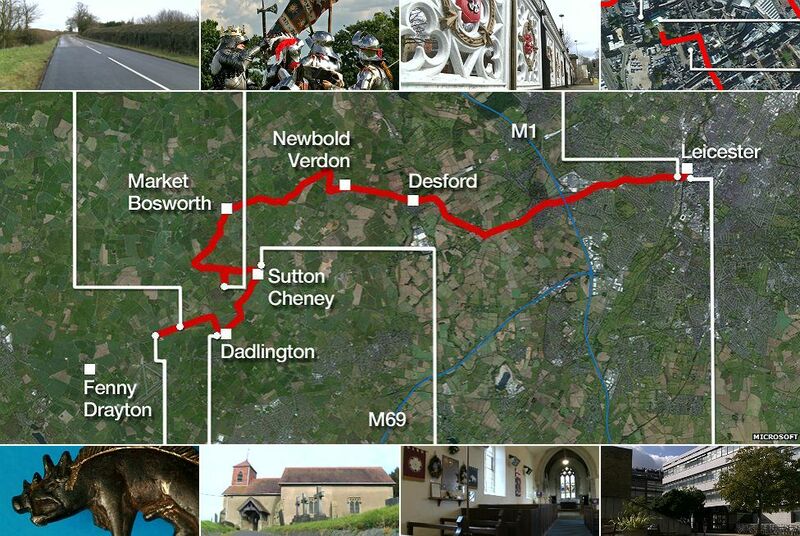 It will pass places in Leicestershire associated with the former king, who died at Bosworth in 1485. 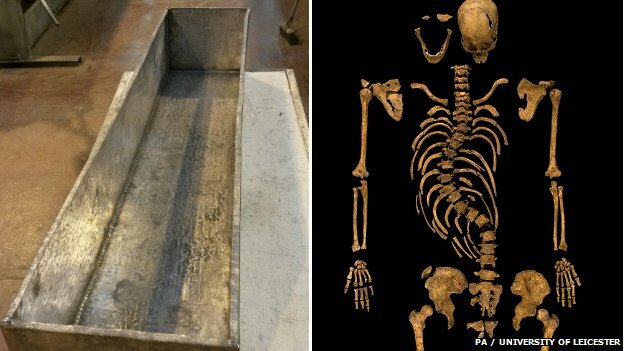 The coffin is set to reach Leicester Cathedral at 17:35 GMT, where he will be finally reinterred on Thursday. A special morning service was held at the cathedral and a vigil was staged by a local re-enactment group at the Bosworth Battlefield Heritage Centre earlier. 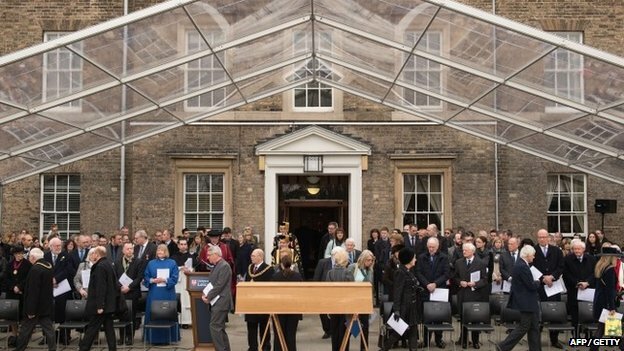 The former king's coffin, which is made of English oak from a Duchy of Cornwall plantation, emerged during a ceremony led by the university's chancellor. Ceremonies are due to take place as the cortege travels towards Leicester, including at Bosworth Battlefield Heritage Centre and Bow Bridge. City mayor Peter Soulsby will meet the coffin at Bow Bridge, which marks the edge of the medieval city boundary. He said: "It was from Leicester in 1485 that Richard rode out to battle and it was to Leicester that he returned, defeated, slung ignominiously across the back of a horse. The city council has announced disruption to roads and car parks for Sunday. 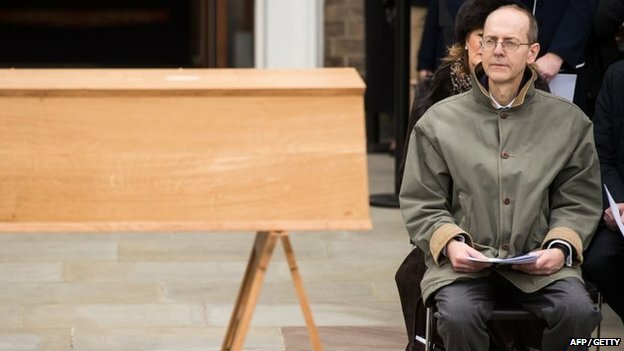 After a service at St Nicholas Church, the coffin will be transferred to a horse-drawn hearse before arriving at the cathedral via High Street and Grey Friars. The council said the best places to see the cortege would be High Street, Gallowtree Gate or outside Curve Theatre. Screens will be up at the Clock Tower and Jubilee Square showing the procession live. There will be rolling road closures along the A47 Hinckley Road and drivers have been asked to use other routes. There will be disruption to Newarke Street, Rutland Centre and St Nicholas car parks. Footpaths and cycle paths will remain open as normal. Below is a map of the planned procession through the county. Click here for the route through Leicester city centre. (Please note - the maps are best viewed on our desktop site).